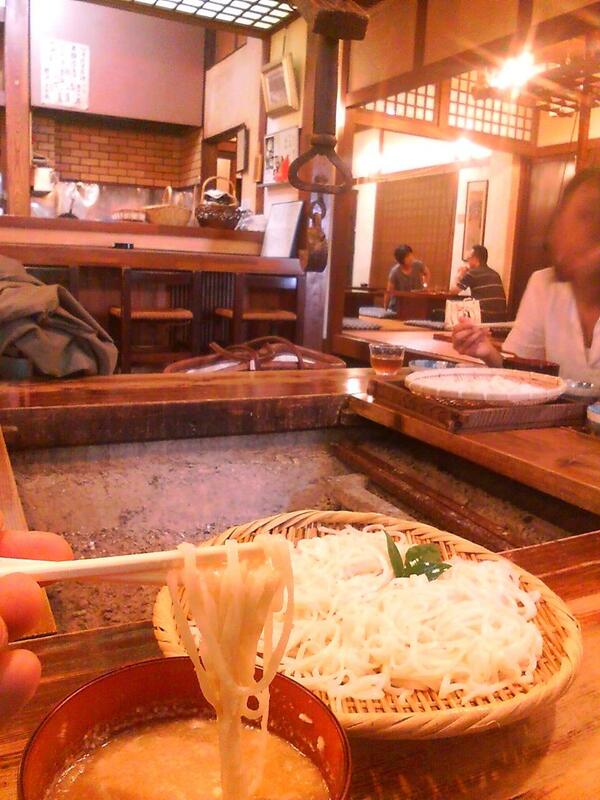 Udon Noodles with the Nefariously Spicy Nezumi Daikon Radish. 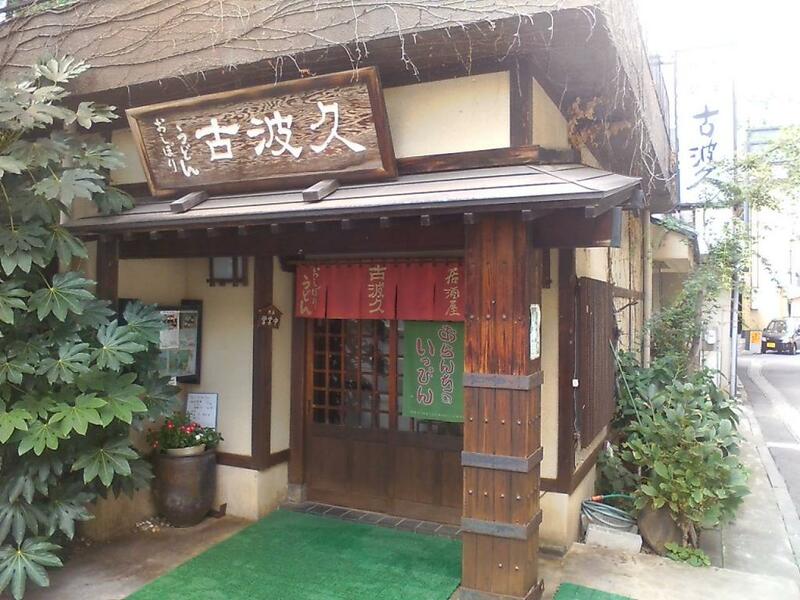 Kohaku is an izakaya (pub) in Onsen Town Togura-Kamiyamada that specializes in "Oshibori Udon". This local favorite uses the spicy Nezumi Daikon radish which is grated and squeezed ('shibori'). Miso paste is added to the juice to tame it down, and you dip the fat udon noodles in and eat. Kohaku serves oshibori udon in a big kettle and hangs it on a hook and guests sit around the 'irori' hearth for their meal. Fields around Onsen Town Togura-Kamiyamada and neighboring Sakaki Village often have rocky soil which stunts the growth of the daikon radishes. The variety known as "nezumi daikon" ("nezumi" means 'mouse') is short and fat with a little tail, resembling its namesake. Perhaps due to their growth being stunted, nezumi daikon radish's spicy potency is enhanced. 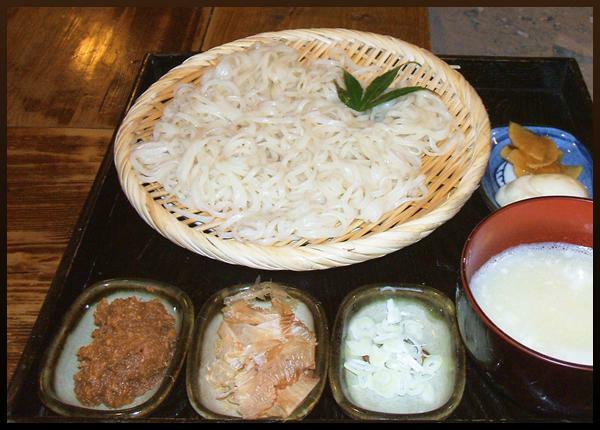 Many restaurants in the area offer oshibori udon, but Kohaku is the most famous and its interior with the irori hearths provides a traditional Japanese setting. Closed the first third and fifth Wednesdays of each month. No parking, so if coming by car, better to use the parking lot at the Bunka Kaikan light (ask permission at the Tourism Hall across the street). From Togura Station(Shinano Railway), Walk out to Route 18 ('Togura Station' signal) and turn left. Walk south 250m to the next light ('Togura') and turn right on to Route 55. Continue for 900m crossing the bridge. At the "T", turn left and follow Route 77 for 750m to Omoide no Machi Dori street and proceed as per above. From Sakaki IC, Take Route 91 down 1.4km to Route 18 and turn right. Proceed north 5.5km to Route 498 ('Togurakamiyamadaonsen' signal) and turn left. Cross bridge and at the Kamiyamada Bunka Kaikan signal (1km), turn right on to Chuo Dori Street. Turn left in 400m on to 思い出の街通り (Omoide no Machi Dori). Take the 2nd right and Kohaku will be on the next corner.